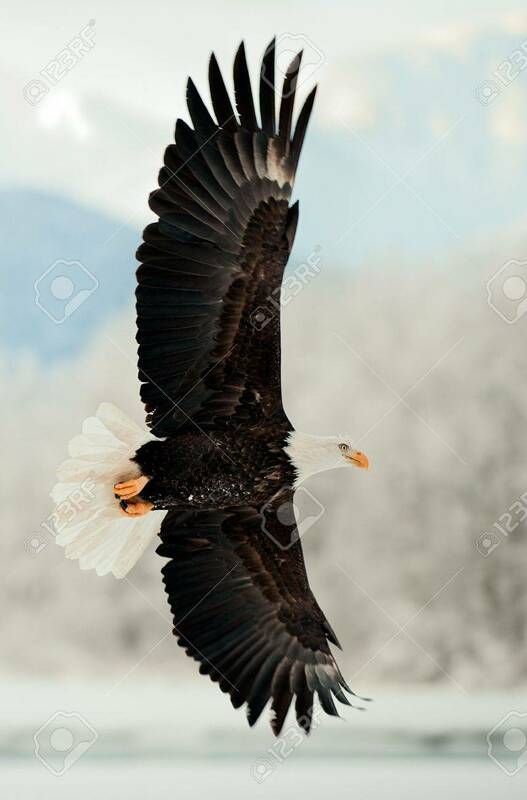 Flying Bald Eagle. Snow Covered Mountains. Alaska Chilkat Bald.. Stock Photo, Picture And Royalty Free Image. Image 11874661.